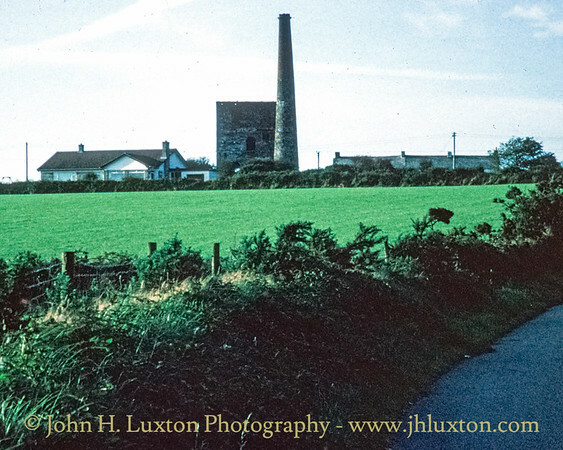 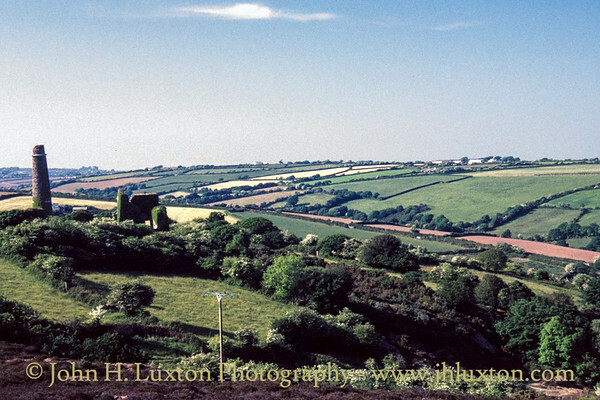 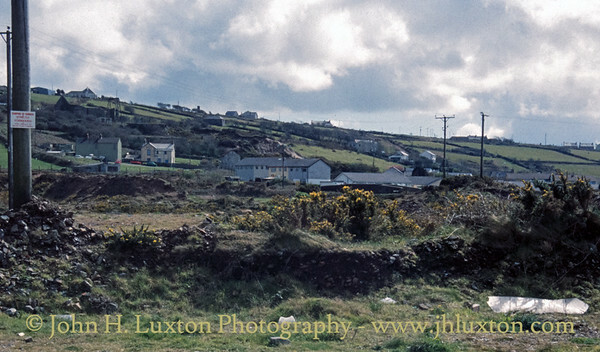 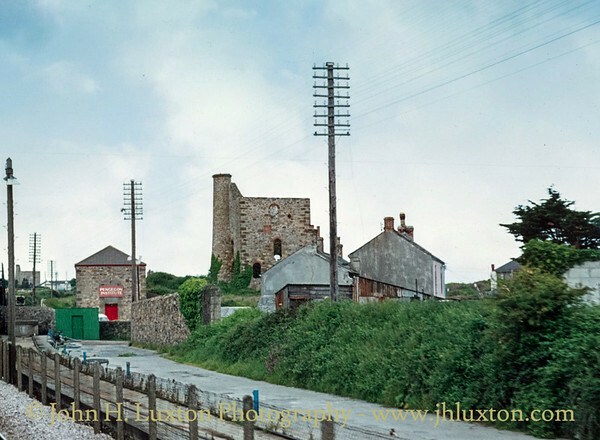 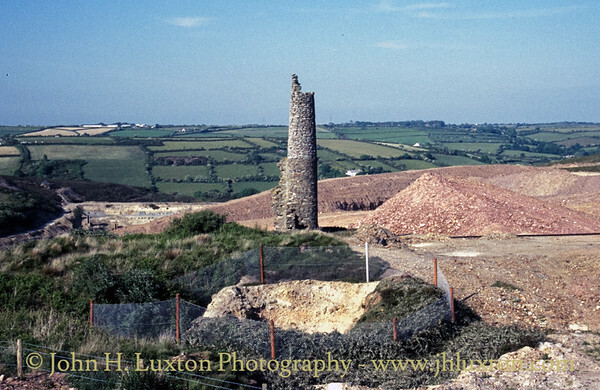 A collection of views of a number of sites in the Camborne, Redruth and St Day Mining District of Cornwall. 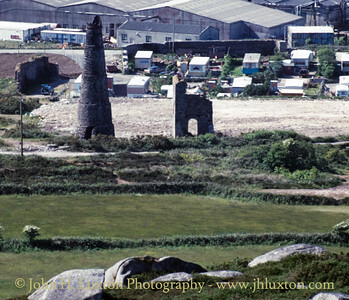 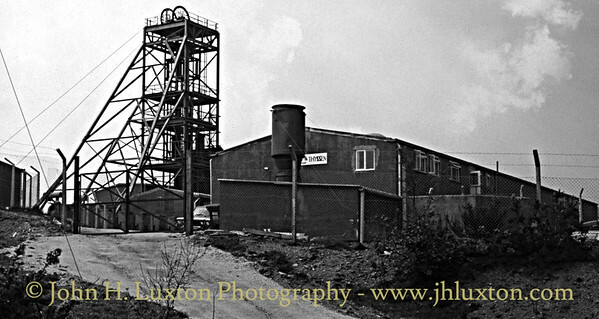 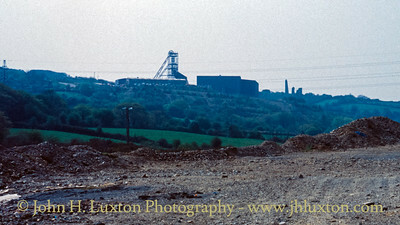 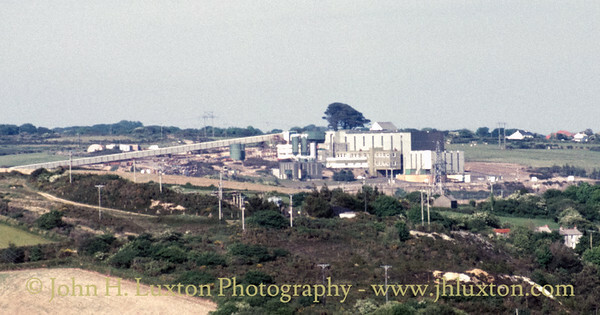 Mount Wellington Tin mine, two miles east of the village of St Day in Cornwall, in the United Kingdom, opened in 1976 and was the first new mine in the region in many years. 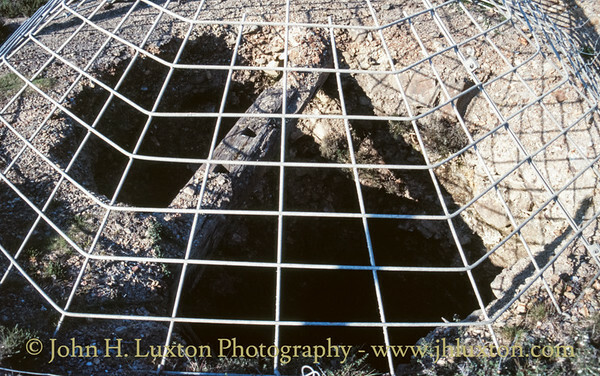 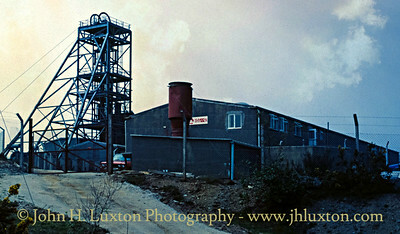 With the fall of tin prices and the withdrawal of pumping subsidies, the mine finally closed in 1991. 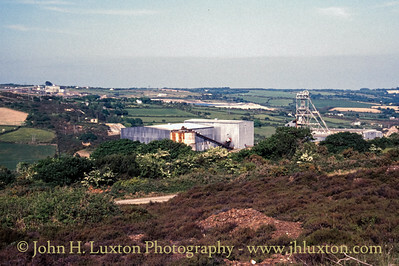 The site has now been developed as an industrial Estate. 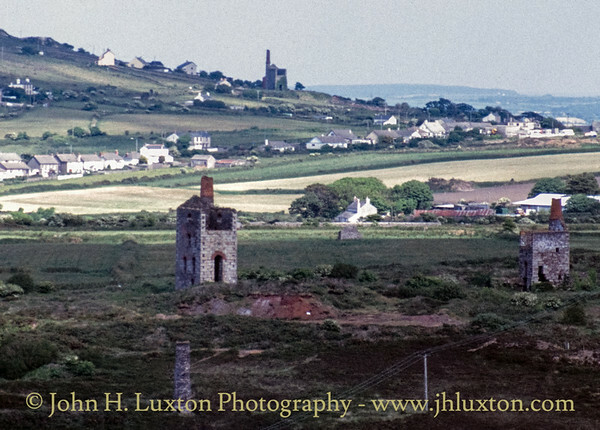 Harriet's Shaft engine house photographed from a passing train. 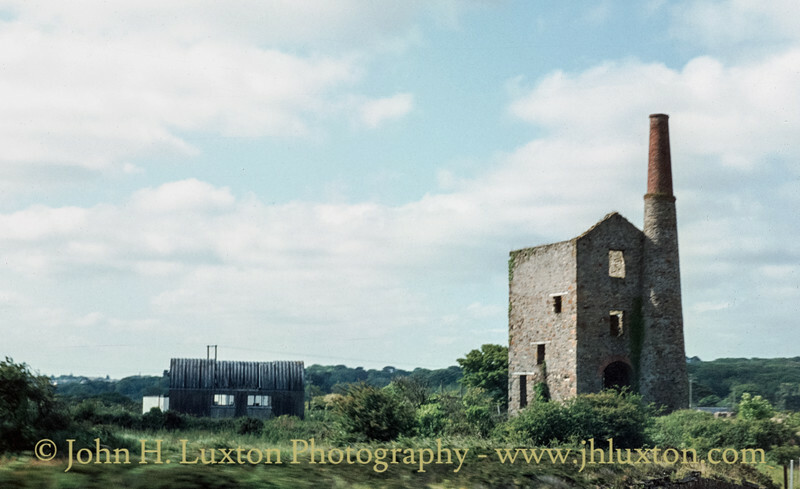 Engine Shaft Engine House photographed from a passing train. 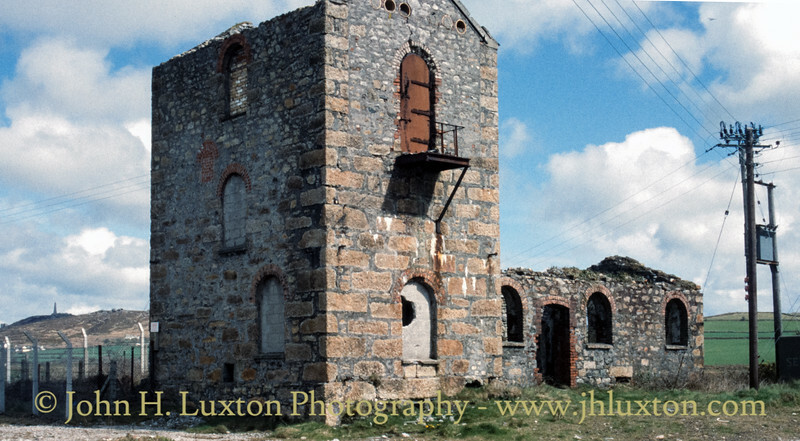 The 90-inch pumping Engine House at Fortescue's Shaft. 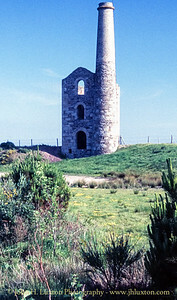 Whim Engine House at Fortescue's Shaft, Wheal Grenville. 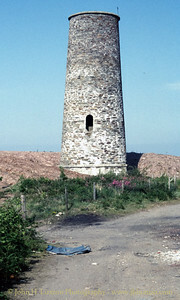 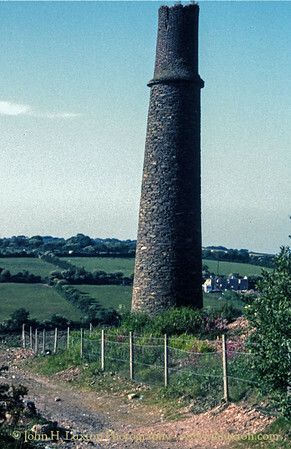 General View of Wheal Jane. 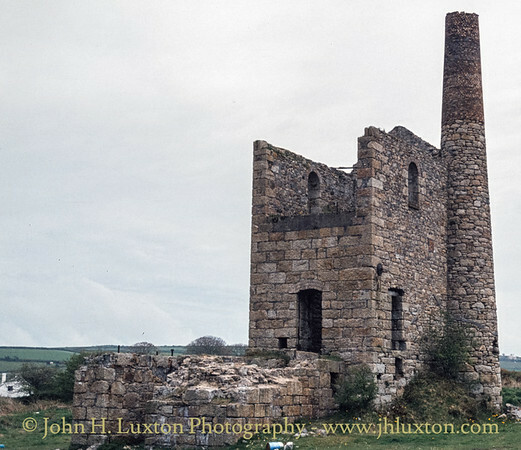 Stamps engine house, United Mines. 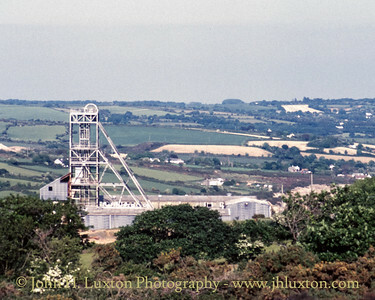 Carn Brea Mines site viewed from Carn Brea. 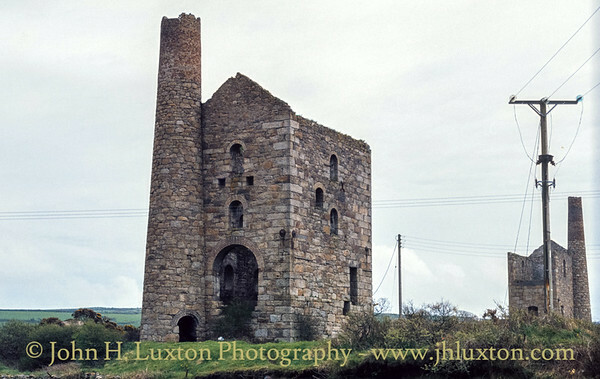 Gossan Shaft winding engine house. 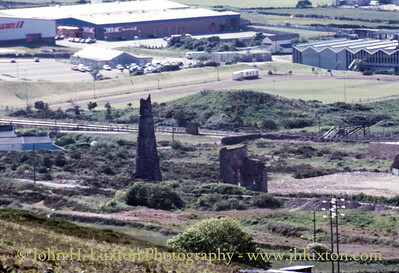 View towards William's Shaft winding engine house visible upper left.